Sometimes you just need to have deep, dark, unadulterated chocolate. If you have that need, these are the brownies for you. Nothing too fancy here. Just dark, decadent chocolate perfection that’s been kissed with a touch of espresso then scattered with chocolate chips. In a word (or 3) … just chocolate, chocolate, chocolate. The other day I just wanted something simple and chocolatey as the finishing touch for a dinner with my in-laws. 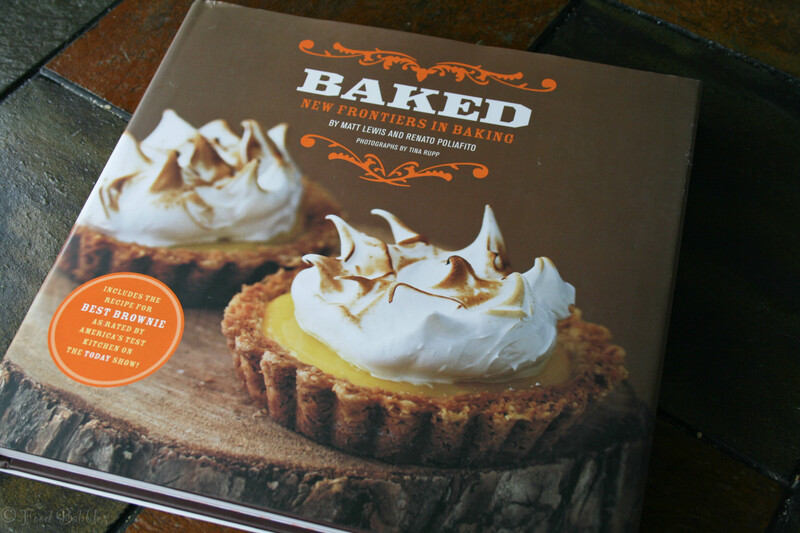 I recently received the cookbook Baked: New Frontiers in Baking. Never have I thumbed through a cookbook and wanted to make each and every recipe contained therein. That is, until now. So consider yourself forewarned… I may bake my way through Baked. You won’t be sorry I did though. They have some amazing recipes that I personally can’t wait to try. 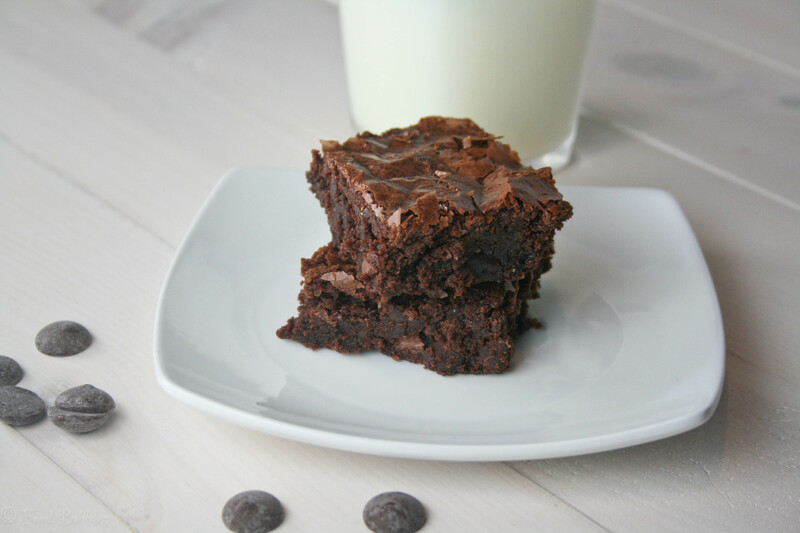 These brownies, which are actually called “The Baked Brownie,” just hit the spot. They’re dense, chocolatey, and slightly fudgy. These brownies have been featured in O magazine and were awarded the honor of best brownie by America’s Test Kitchen and the Today show. For those reasons, I didn’t mess with it very much at all. Quick and easy to make. Also quick and easy to devour so be careful! – Preheat the oven to 350 degrees. Butter the sides and bottom of a 9×13-inch glass or light-colored metal baking pan. – In a medium bowl, whisk the flour, salt and cocoa powder together. – Put the chopped chocolate, butter and instant espresso powder in a large bowl and set it over a saucepan of simmering water, stirring occasionally, until the chocolate and butter are completely melted and smooth. – Turn off the heat, but keep the bowl over the water and add the sugar. Whisk until completely combined, then remove the bowl from the pan. The mixture should be room temperature. – Add 3 eggs to the chocolate mixture and whisk until combined. Add the remaining eggs and whisk until combined. Add the vanilla and stir until combined. Do not overbeat the batter at this stage or your brownies will be cakey. – Sprinkle the flour mixture over the chocolate mixture and sprinkle with chocolate chips. Using a rubber spatula (do not whisk), fold the flour mixture gently into the chocolate until just a bit of the flour mixture is visible. Do not over mix. – Pour the batter into the prepared pan and smooth the top. Bake in the center of the oven for 30 minutes, rotating the pan halfway through the baking time, until a toothpick inserted into the center of the brownies comes out with a few moist crumbs sticking to it. Let the brownies cool completely, then cut into squares. Don’t we all? 😉 Thanks! 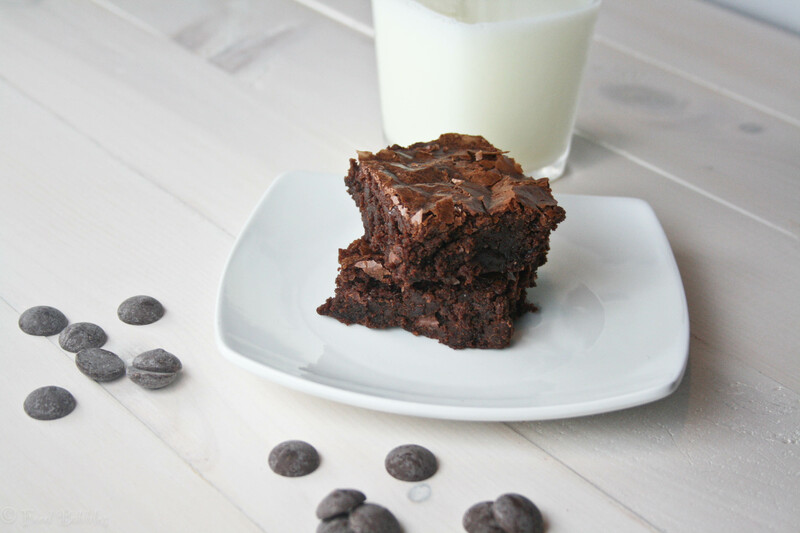 YUM, there is something about an unadulterated brownie that will never get old. These look like crackly-topped, gooey perfection. Okay so I think I need that book. But more than that I need those brownies. Those look FANTASTIC!!! Thank you for an awesome recipe that I am definitely trying… soon. Very soon. These brownies look divine! Nothing better than magnificent chocolate for a lovely dessert. Another great cookbook for my growing list! 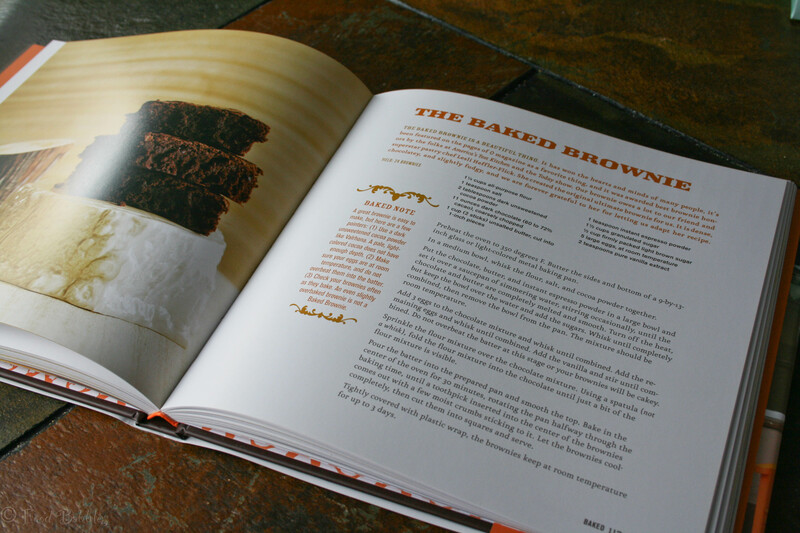 Yesss, Baked is an amazing cookbook!! Try the Pumpkin Whoopie Pies next….you will not regret it! Thanks Megan! I will try them. I want to make everything in that book. It’s so fantastic!